Honeypot Cottage is a self-contained cottage attached to our 17th century Grade 2 listed farmhouse. It is tastefully renovated to a very high standard retaining beams, exposed brickwork and other original features. The cottage is tucked away in the quaint and picturesque village of Falkenham and nearby Kirton. The 1200 acre working mixed farm has cows and sheep and arable land. There are many picturesque walks from the cottage, including one to Felixstowe Ferry, at the mouth of the River Deben with a ferry to the Bawdsey peninsula. Have fun in nearby Felixstowe (4 miles) building sandcastles on the beach, walking the promenade and exploring the Edwardian gardens to shopping in our bustling town centre, eating bird watching at the nature reserve, uncovering history at the magnificent fort and museum and delighting in the peaceful surroundings and stunning views at Felixstowe Ferry, there really is so much to see. Changeover day Saturday but flexible for short breaks. Arrival from 2pm. Departure by 10.00am. Short breaks are available in low season (end of October until Easter). Please contact us for more details. Sitting room with comfortable sofas, nest of tables, Freeview TV and DVD. Books, games available for rainy days. Electric cooker, microwave, washing machine, fridge with freezer compartment. Kettle, toaster and all necessary kitchen utensils. Private, enclosed garden with garden furniture. There are opportunities to sail at Felixstowe Ferry (5miles aways and Levington Marina (10 miles away). Notes on accommodation: Sorry no smoking and no pets. Outside: Private, enclosed garden with lots of garden furniture and BBQ available. Garden leads to a large meadow with an enclosed pond. Ample off road parking. Bike storage available. Utility Room: Iron & ironing board. clothes airer, vacuum cleaner, dustpan & brush. Mop & bucket available. Cleaning / Towels / Linen / Maid service: Bath and hand towels, tea towels, bed linen and electricity and heating included in price. A gem of a property nestling in the heart of the countryside, with beautiful views both to the front and rear of the property. We immediately felt at home, which was important as we were between house moves.! The bedroom was light and airy, with plenty of space for hanging clothes. Very comfortable bed and nice bed linen. It was great to wake up to the lovely rural views. Although, the kitchen is small, it is well equipped. Very pleasant private garden, with rotary washing line. Although, off the beaten track it is only a short drive into Felixstowe which has a range of services. It is also in walking distance of the wonderful Artisan Smokehouse, a must for any visitor! They serve super lunches and sell wonderful products. The owners live next door to the cottage, and were very helpful throughout our stay. Thank you very much. It was a pleasure having you stay in Honeypot Cottage and glad you had such a good time. I hope the move goes well. Everything you need. I stayed for a week and it is sufficiently big for 4 people. 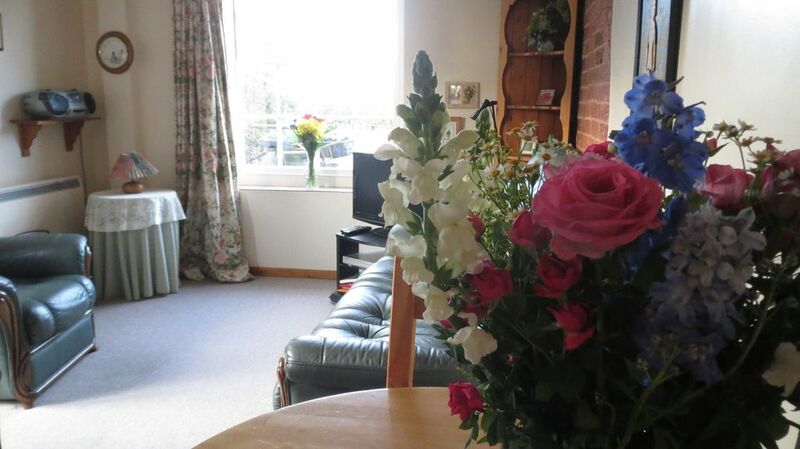 Honeypot cottage offers excellent accommodation, perfect for the two if us. Second time at the cottage and thoroughly enjoyed it again. Lovely quiet, peaceful but cosy to have family holidays in. Really enjoyed and wanted to book for the a 3rd time later in year but full booked unfortunately. Thank you for the kind comments. It was a pleasure having you and your family stay at Honeypot Cottage. We hope we will see you again in the future. The apartment is very well furnished, all items are available. The area offers many recreational activities whether in Ipswich or on various coastal towns (Felixstowe, Aldeburgh, Southwold, Lowestoft). By train.we were in 1.5 hours in London. Cambridge or the Imperial War Museum at Duxford are also within easy driving distance. We would like to come back. We enjoyed having your family stay at Honeypot Cottage. We were glad you were able to do so much exploring in the area by car, train and bike! There is an artificial ski slope in Ipswich where you can practice and learn but no snow! Alton reservoir offers water sports facilities such as dingy sailing, wind surfing, fishing, and there are cycling tracks around the reservoir. Sandy and shingle beaches at Felixstowe 10 minutes away by car. Suffolk coast at Orford, Aldeburgh and Southwold from 25-45 minutes away by car. Stansted Airport is approximately 75 minutes away. Trains run from Liverpool Street to Ipswich and then hourly from Ipswich to Felixstowe. Nearest port is Harwich, which is 45 minutes away. There are lots of good pubs and restaurants within a 15 minute drive from the cottage. Many towns and villages are easily accessible by the excellent network of roads. Felixstowe has plenty of banks, supermarkets, restaurants, shops, a cinema, a theatre and many other amusements for all ages. With so many historic castles and houses in Suffolk, you won't be at a loss of what to do! For rainy days, Bury St Edmunds and Ipswich provide good shopping, cinemas and art galleries. Changeover Day: Changeover day Saturday but flexible for short breaks. Arrival from 2pm. Departure by 10am Short breaks are available in low season (end of October until Easter). Please enquire for prices.